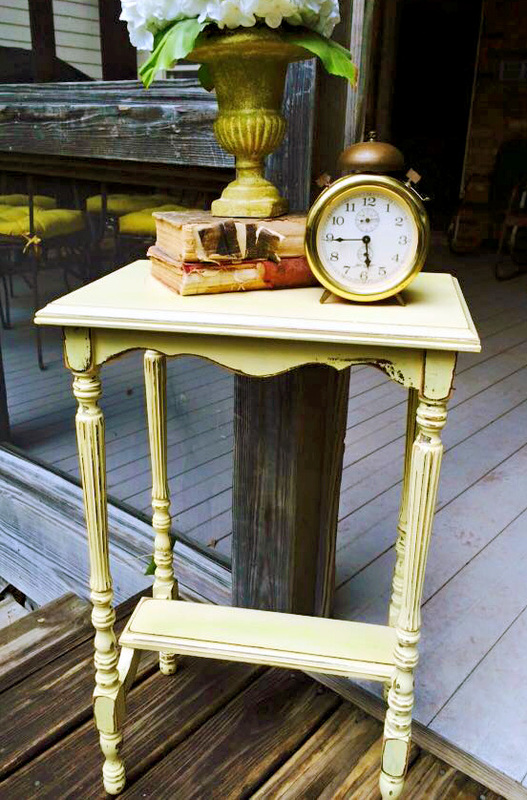 "You can't go wrong with General Finishes Buttermilk Yellow! Isn't it adorable on the side table! Add a little distressing and seal with General Finishes High Performance Top Coat and you are all done. Love it- Kim Seitz - Seitz Antiques and Collectibles." ~Thanks so much for sharing this adorable piece, Kim!